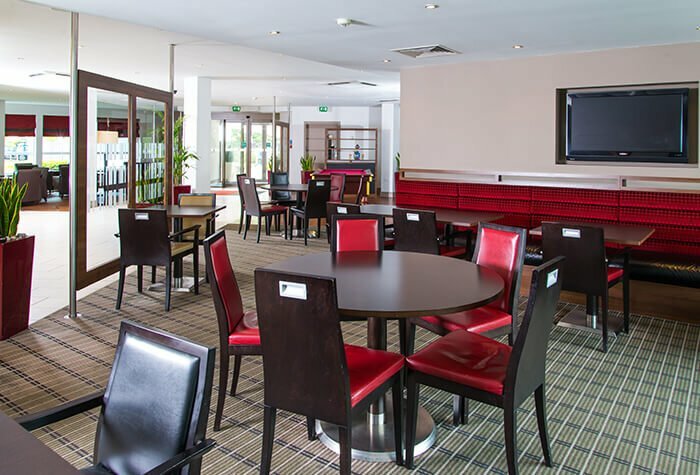 When it comes to Glasgow airport hotels, you couldn't be closer to your terminal at the Holiday Inn Express at Glasgow airport, Paisley. 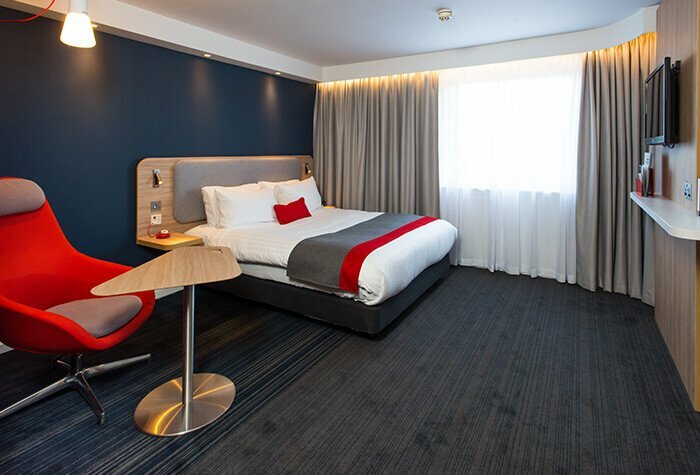 Just a hop off the M8, the hotel is a short walk from the terminal under a covered walkway. 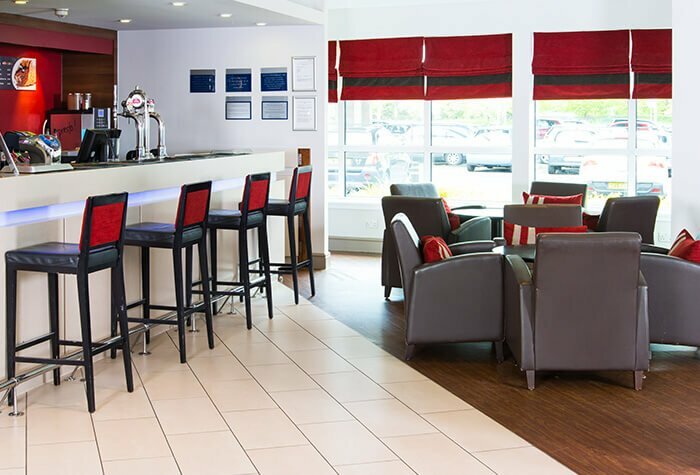 With a buffet breakfast included, WiFi and comfortable rooms, you'll love a stay at the Holiday Inn Express. Every aspect of our stay was fantastic, from arrival to departure, with dinner, bed and breakfast in between and all staff were superb. Nice place to stay with plenty of options for breakfast. Everything was very satisfactory. Room was excellent. Hard to see signs of previous occupancy. Recommended staff member for internal award. Food good and reasonably priced. All staff friendly and helpful. Definitely use again when flying out if Gkasgow. 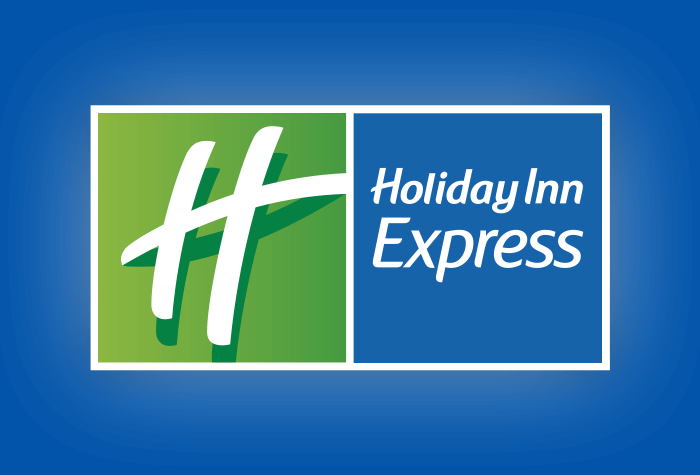 Our customers rated Holiday Inn Express on average 9/10 (59 reviews). 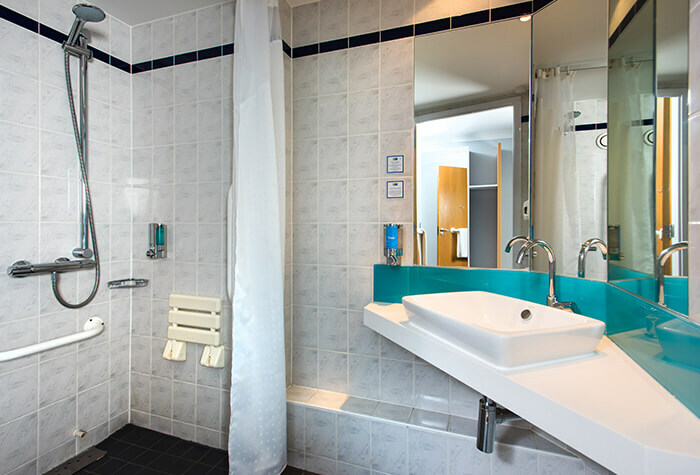 Read Holiday Inn Express reviews. 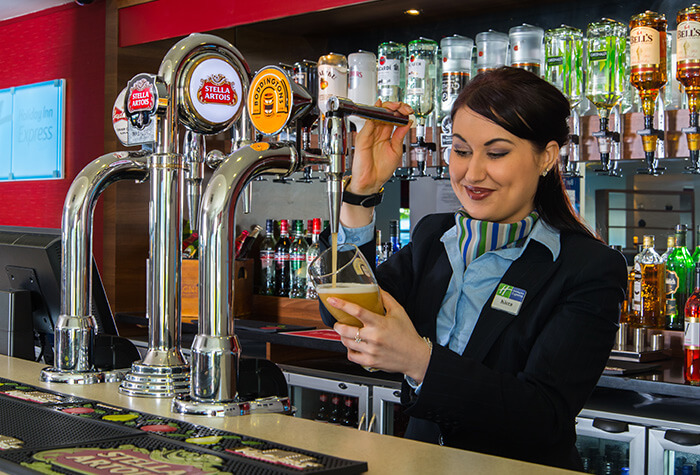 We've already mentioned a few of the many reasons to stay at the Holiday Inn Express. 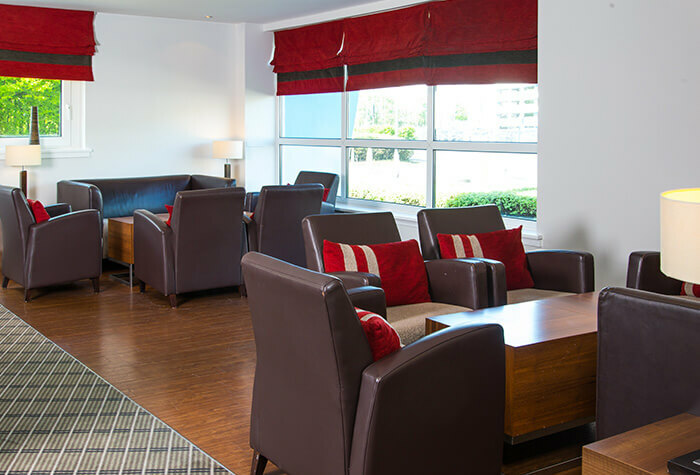 To seal the deal on one of our favourite Glasgow airport hotels, we have great parking options available with this hotel, and it is based unbelievably close to the terminal. You're just a 5-minute stroll away! So, if you have an afternoon flight, you can make the most of your 11am checkout time! Express by name, Express by nature! 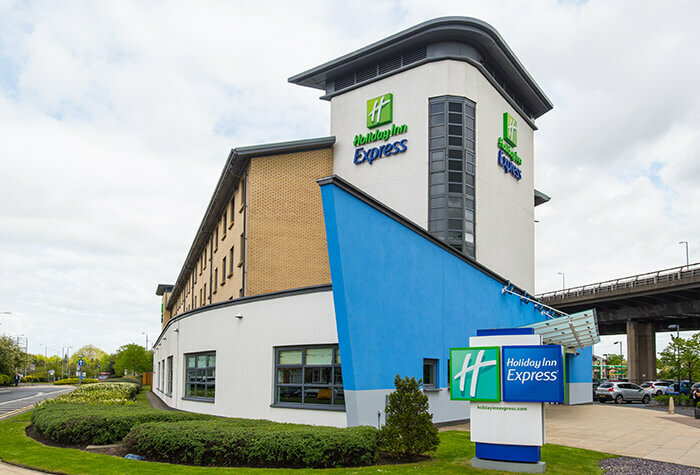 You can't get get to the terminal quicker than when you stay at the Holiday Inn Express Glasgow! You can check into this modern 3-star hotel from 14:00. If youve driven in, youll need to park your car in the car park and pay £6 to keep it there overnight. When hunger strikes, the hotel's Great Room restaurant is there to serve. Food and drinks are available all evening, offering you British meals at a reasonable price. You can expect traditional British classics, such as a delicious steak and chips as well as a selection of signature burgers. Dinner is available from 17:30 to 21:45 every day. Comfort comes as standard with this world-renowned brand, and when its time to sleep, youll really feel the difference. 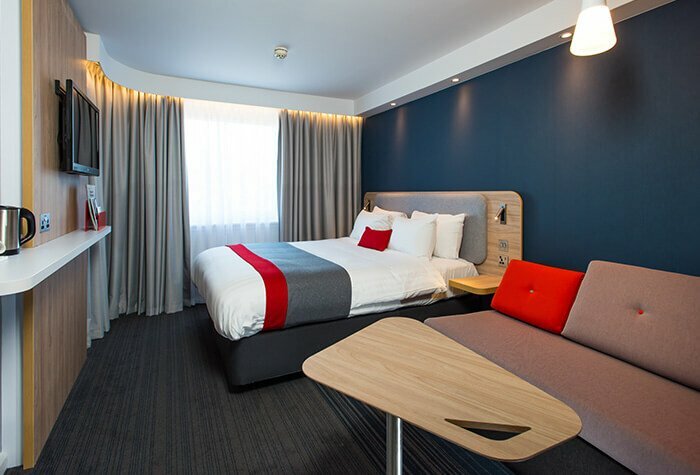 With sink-into beds, a choice of pillows and noise-blocking triple-glazed windows, youll barely even know youre on the airport grounds as you drift away to slumberland. 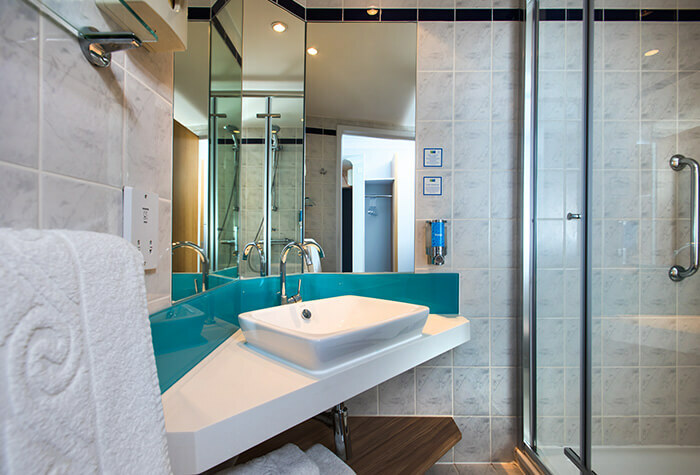 Now that the rooms have been refurbished there are USB ports next to beds, as well as power showers in the en-suite. When you wake up the next morning, grab a quick shower, and head to the Great Room restaurant to fill up on that all-important breakfast. The best bit is, its included in the price! 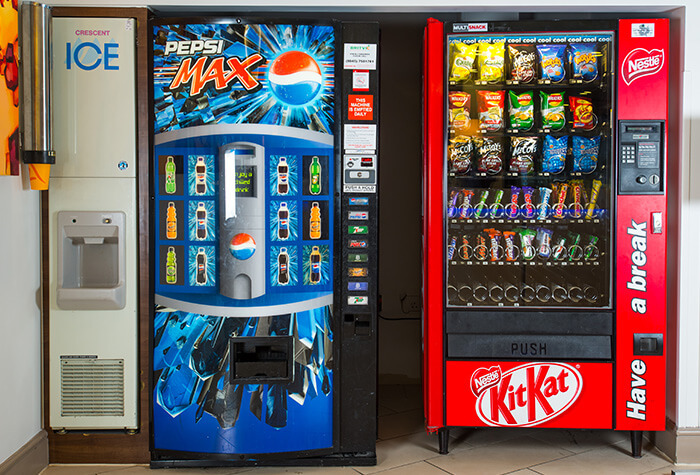 You can help yourself to a buffet of continental food and cooked breakfast classics, as well as cereals and toast. 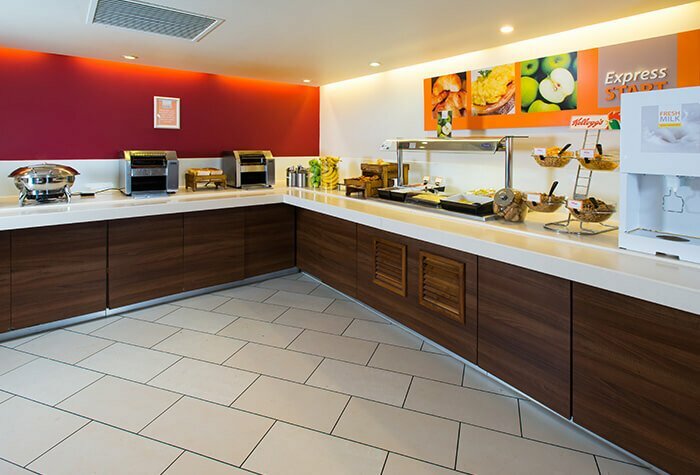 Continental breakfast is served from 04:00 to 10:00 every day, and you can get a hot breakfast from 06:00. Once you're ready to catch your flight, simply walk to the terminal it only takes five minutes. 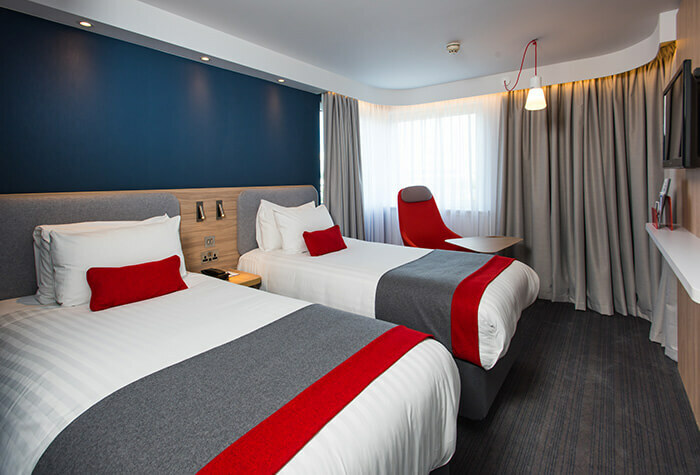 The Holiday Inn Express really is the closest you can get to the terminal without sleeping in it, giving you the most hassle-free hotel experience possible at Glasgow airport - and for an affordable price, so book your room today and youre guaranteed the best price available. The hotel is non-smoking throughout all areas of the building. Overnight parking costs £6. Small dogs are accepted in the hotel at a small charge of £20 per night payable locally to the hotel. Disabled facilities The hotel has accessible rooms.